You can buy the AKK Nano2 now from AKK Technology direct or from Amazon. When opening the anti static bag that the Nano2 came in, the first thing I noticed was that it is absolutely tiny! The Nano2 can run off a 1S battery or regulated power supply. With the handy extension cable included, the Nano2 is compatible with a large range of 1S batteries. You can also hook it up to a 5V supply from your FC or a BEC/voltage regulator. Voltage compatibility is sacrificed for size and weight, but with most mini quad builds including a 5V supply, all you have to do is be sure of where it’s connected to. 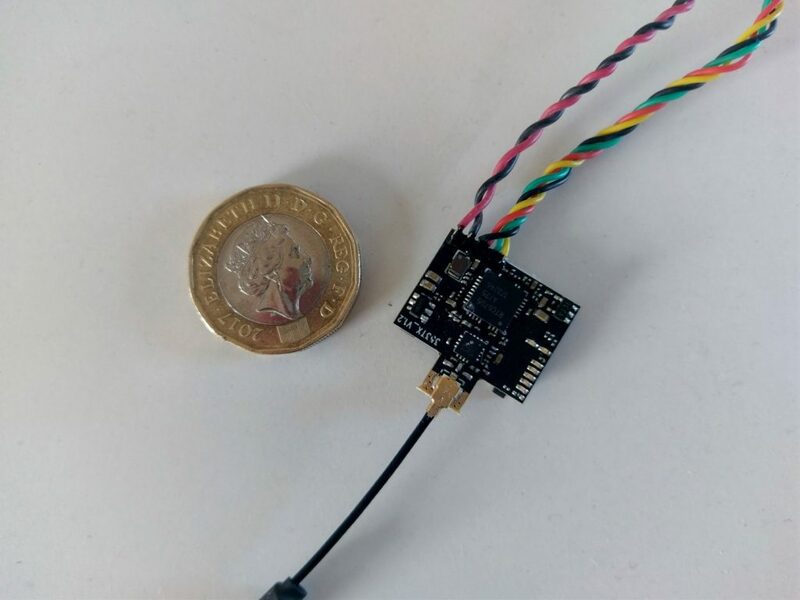 Voltage range is also not a problem as this type of transmitter is likely to be used on micro 1S drones, which provide the power required anyway. A 5V supply is provided to the camera, which is great for a tidy wiring job as all the set-up needs is power. 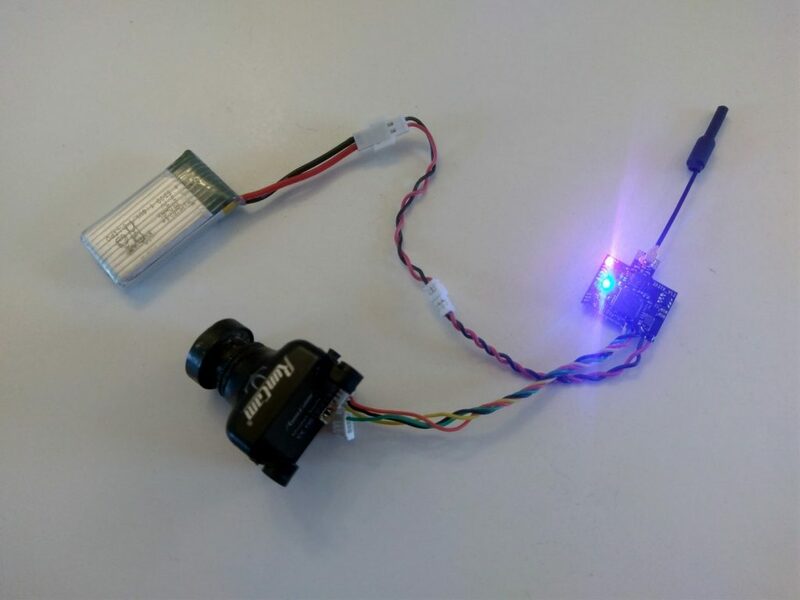 You can therefore hook up the camera direct to the VTX rather than a separate supply. 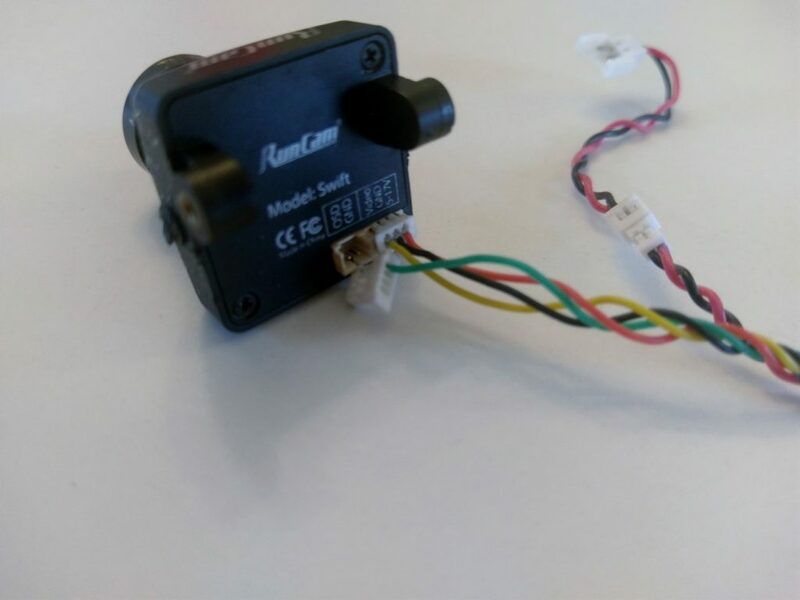 To connect to the Runcam Swift, I had to switch out the 4 pin connector (UART unused) for the standard 3 pin camera connector. The single button press for channel, band and power output control works well, but is difficult to tell which one is on. While it would be nice to have a small LED screen/display for this information, this would add cost and weight, so I can see why it isn’t included. 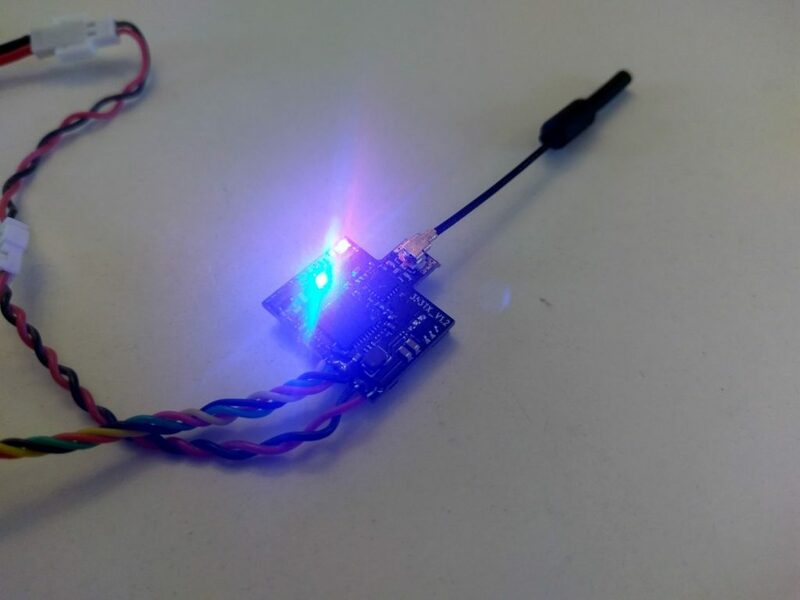 Instead, there are a number of tiny surface mounted LEDs, which can be interpreted to find out which channel, band and power level the VTX is set to. Unfortunately, it isn’t possible to get all this info at a glance, as the single strip provides the info for all three fields. If you were paying attention to the specification, you will realise that in most cases these LEDs are now redundant, since the Nano2 has UART control. LEDs must be interpreted to determine band, channel and power output. I am yet to try the UART control, but this is a great feature to have in a device this small, as it allows you to control the VTX output via your transmitter/FC once they are configured for it. This means that you can hide the VTX deep in your build, since you won’t need access to either the button or the LEDs. Now, rather than mounting the VTX in a visible but exposed location, it can be protected within your frame. The main downside of packing this much into a VTX so small is the heat that’s generated. The Nano2 gets very hot to the touch, which means you should have it somewhere it can at least get some ventilation. 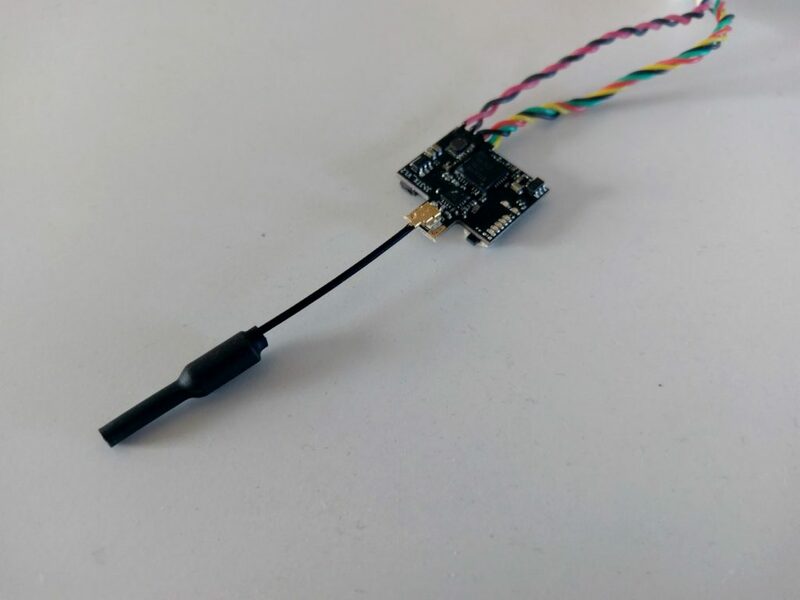 The IPEX/U.FL connection is paired with a lightweight linear whip antenna. You can also use any antenna via a standard SMA connection if you use one of these IPEX to SMA cables. 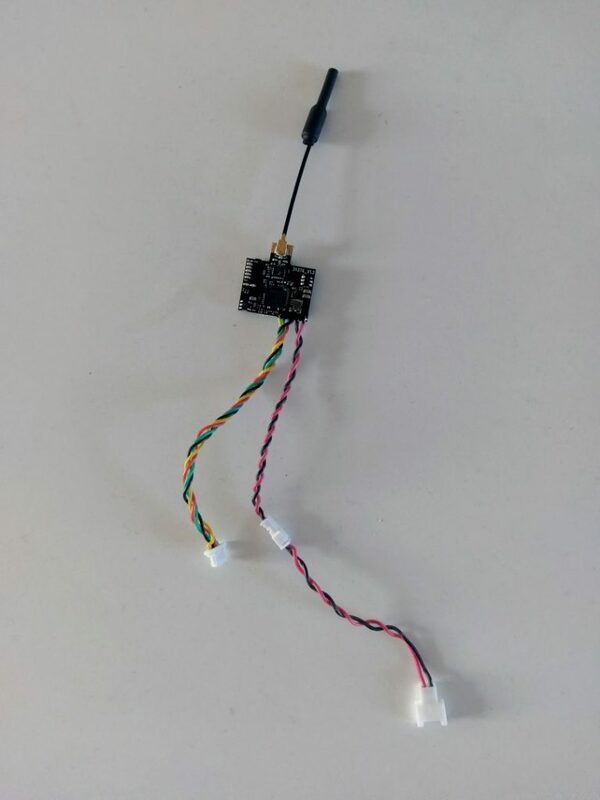 For close range solo flying the whip is fine, but for trickier RF environments and when flying with others, it is better to use a circularly polarised antenna. This will help by allowing more people in the air and reducing multipathing, which can ruin your video feed. Unfortunately I have had to resort to only ground testing the Nano2. Limited to weekends for flying and with the current weather being so bad, I’ve not had the opportunity to fly with the Nano2. However, from the ground testing I have done I am very happy with the performance. Signal quality even at 25mW was strong and there seemed to be very minimal leakage onto adjacent video channels. This makes the AKK a good option both when flying alone or with friends. Obviously I’ll be testing this further and will update this page if there is anything to report. The Nano2 is lightweight and easy to use. Either single button or FC UART control make it flexible enough to use in a basic or more advanced setup. The only downside observed is the heat generated, but for short micro drone flights this should not cause any problems. The tiny size makes this a very versatile VTX as you will be able to fit this into any build without a problem. Finally, the price. The Nano2 is incredibly cheap. Even if it was a fixed power output without UART control, it would be good value. Add the control and variable power and this is a bargain! The AKK Nano2 was kindly provided for review by AKK Technology.